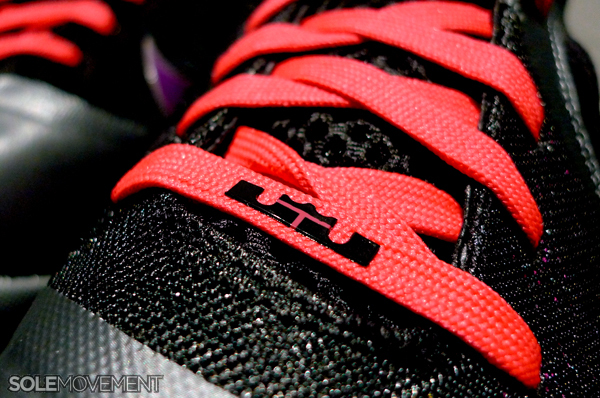 Our last look at this Friday's release of the Miami-inspired LeBron 9. 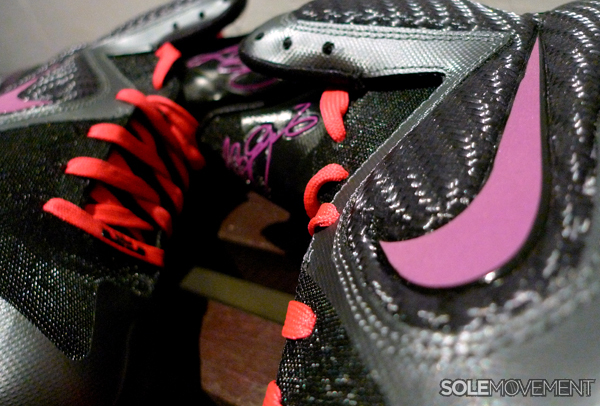 Set to release this weekend is one of the most anticipated colorways of the recently introduced Nike LeBron 9. 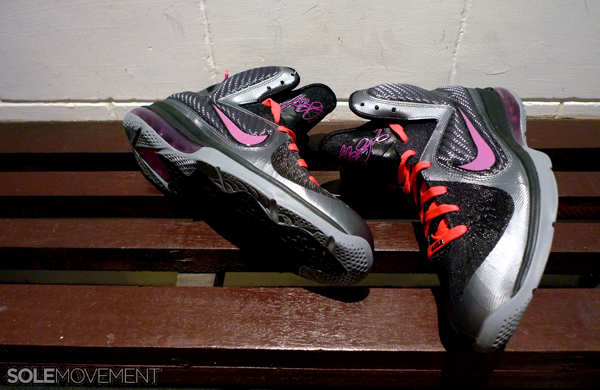 Inspired by the bright lights and amazing nights in Miami, the Lebron 9 is dressed in a simple, yet still vibrant color scheme. 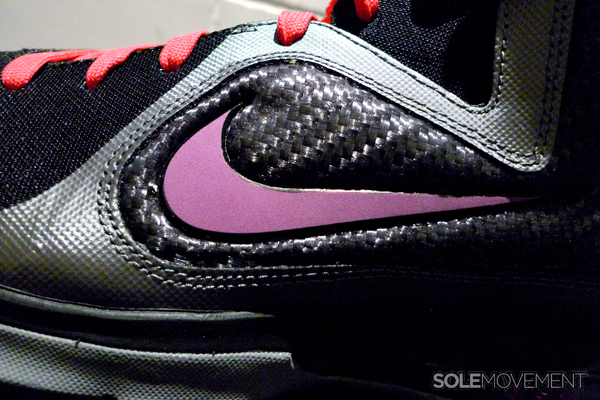 Black and cool grey construct the upper on them, while grape and cherry accents throughout. 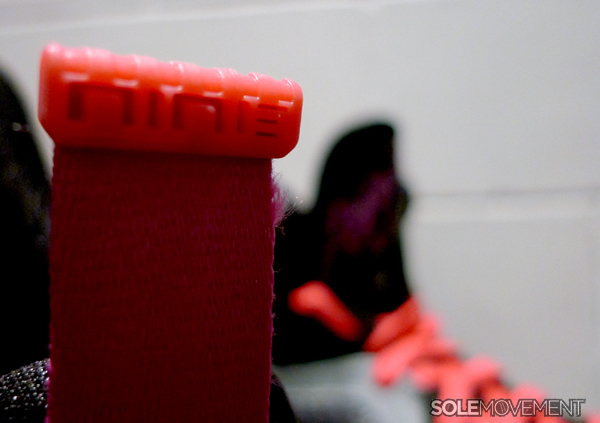 Grape handles the tongue signature, Swoosh and 180 heel Air bag, while cherry takes care of the laces and heel pull tab. 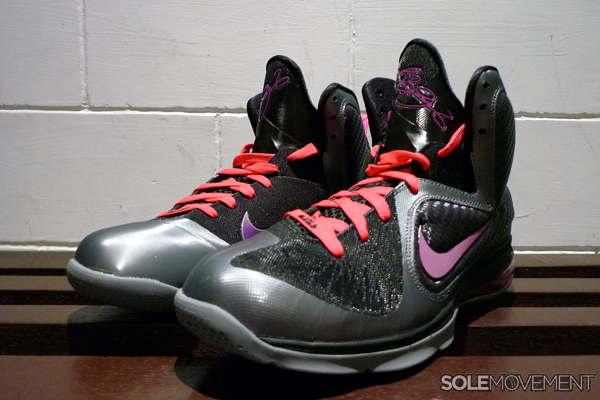 The Nike LeBron 9 "Miami Nights" is scheduled to release this Friday, November 4th at all authorized Nike Basketball retailers.